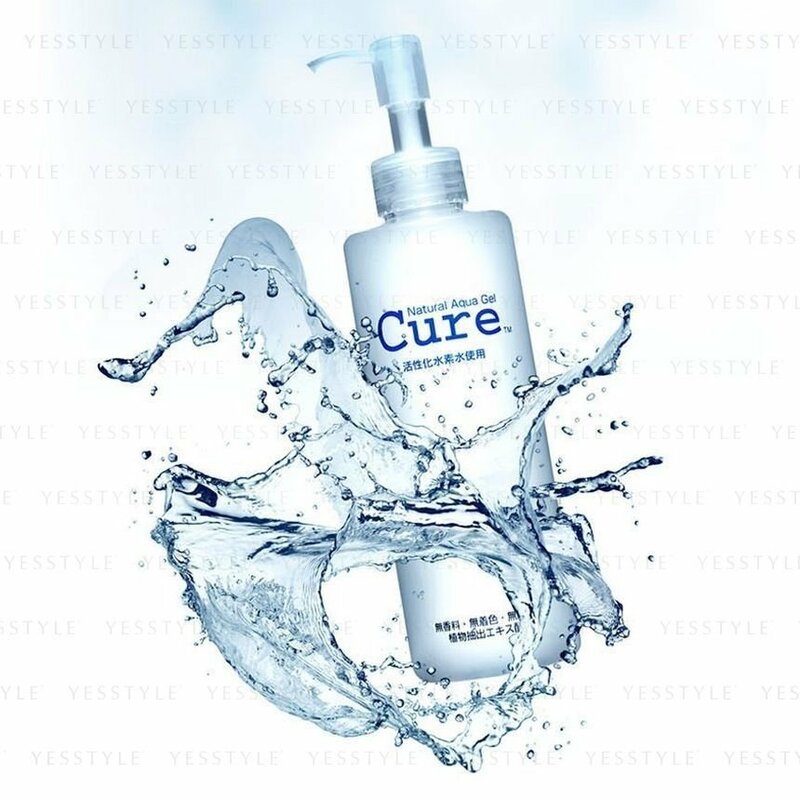 In October 2017, Cure Natural Aqua Gel was the only Japanese Skincare brand to receive the brand of the year in the health and beauty skincare category by the prestigious World Branding Awards which was held at Kensington Palace, London. Other winners include Apple, L'Oreal, Yakult, Facebook, Louis Vuitton, and other popular brands. Cure Natural Aqua Gel is a gentle and natural exfoliating gel that removes dead skin effectively without causing undue stress to the skin. Very gentle and removes only unwanted dead skin. Neither dries or thins your skin, preventing irritation and vulnerability to sun damage. Contains 90% revitalized hydrogen water and natural plant extracts from aloe vera, gingko and rosemary. Does not use preservatives, fragrance, artificial colorings or alcohol that can irritate skin. Gently and effectively removes old and dead skin cells to promote skin renewal and prevent skin problems. Complements any facial regimen to allow moisturizers, serum and other skincare formulas to penetrate deeper and better. You may also use Cure on your hands, neck, low-neck, elbows, heels and etc. A bottle shall last approximately four months using for entire body. With regular use, Cure keeps your skin healthy, smooth and glowing. Simply apply a small amount on desired area after cleansing. Leave it for a few seconds to allow Cure Natural Aqua Gel to react to the skin cells. Avoiding the eye area, gently massage in a circular motion from 30 seconds to 1 minute. The gel will turn into a milky liquid and dead skin particles will be visible.